Melanoma, the skin cancer often associated with sun exposure, is on the rise and has no reliable cure. May is National Melanoma and Skin Cancer Awareness Month, aimed at increasing early detection and treatment of this aggressive disease. Mayo Clinic is at the forefront of these efforts. The Center for Individualized Medicine (CIM) is unravelling the complex behavior of melanoma at the molecular level— to allow for treatment that better targets an individual's disease. "All melanomas are not the same. 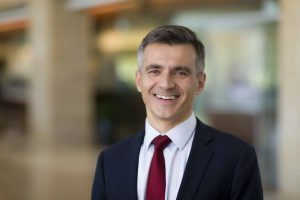 The ability to understand what may be driving different subsets of melanoma at the molecular level allows us to use treatment appropriate for a particular patient," says Aleksander Sekulic, M.D., Ph.D., a dermatologist in the Cancer Center and assistant CIM director at Mayo Clinic in Phoenix, Arizona. About 90,000 people are diagnosed with melanoma and more than 9,000 people die from the disease in the United States every year, according to the American Cancer Society. The incidence has been rising for the past 30 years, especially among young people. "If melanoma isn’t caught very early, it tends to spread. 'Early' means melanoma on the skin with a thickness of less than 1 millimeter — which is essentially three grains of table salt," Dr. Sekulic says. "We need to develop better therapies because we know that even recent advances that are nothing short of miracles will work only in a subset of patients, not all patients." One recent advance is the development of immunotherapies — medications that stimulate a person's immune system to recognize and destroy cancer cells more effectively — which can benefit some people with melanoma. Another advance involves the discovery that about half of people with melanoma have an abnormal version of a gene known as BRAF. "The BRAF mutation essentially acts like a switch that is stuck in the 'on' position and promotes abnormal cell growth," Dr. Sekulic says. "Therapies that turn off the mutated BRAF molecule — cutting the growth signal for cancer — have significant efficacy in people whose melanoma harbors the BRAF mutation." But those medications, known as BRAF inhibitors, can actually worsen melanoma in patients without the BRAF mutation. Currently, treatment options are very limited for people whose melanoma doesn't harbor the BRAF mutation and who don't respond to immunotherapies. To pave the way for new treatments, Mayo Clinic is involved in a large trial aimed at identifying additional molecular drivers of melanoma. The trial is gathering genetic information from people with melanoma who lack the BRAF mutation. "We want to merge information about other genetic alterations that might be present in those individuals' cancers with our knowledge of drugs that are currently available. The goal is to identify a target we haven't anticipated in melanoma that might respond to an existing medication," Dr. Sekulic says. The researchers are discovering that for now, their knowledge of melanoma's molecular drivers is outpacing drug development. "There is a bottleneck — we have learned much more about melanoma than we can act on," Dr. Sekulic says. "But the drug development is rapidly catching up." He notes that individualized treatment of diseases was made possible by the sequencing of the human genome, which occurred just 15 years ago. "I would guess that within 10 years we will be in a very different place than we are now in terms of melanoma treatment," Dr. Sekulic says. 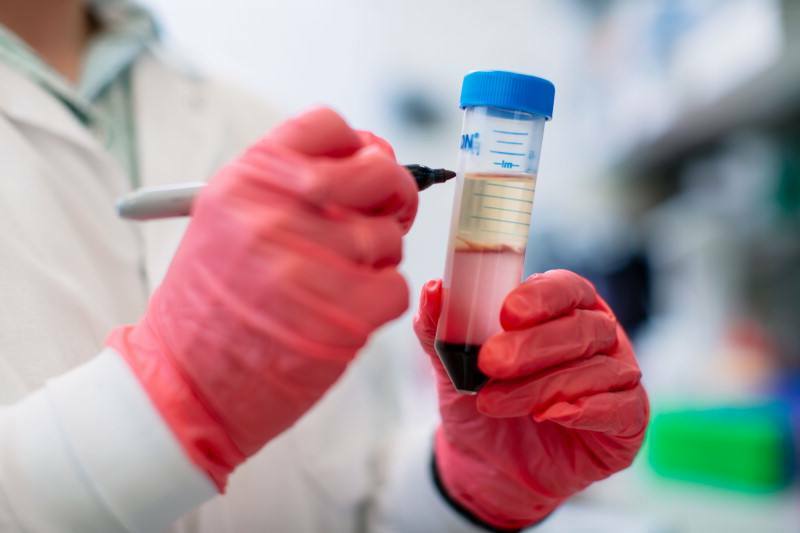 Mayo Medical Laboratories has developed a "liquid biopsy" to detect the BRAF mutation in a blood sample. Assessing BRAF mutation status in people with melanoma typically involves removing cancerous tissue for testing in the laboratory. 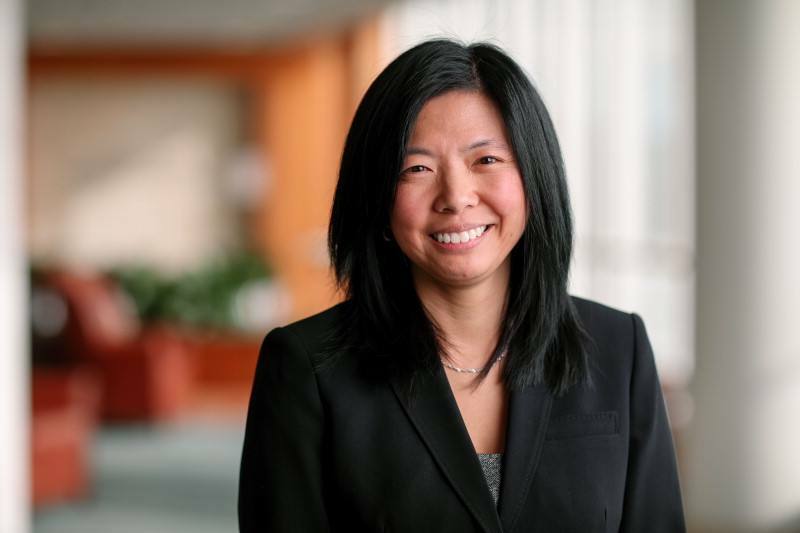 "This new technology provides an opportunity to limit invasive tissue biopsies and get the necessary information from a simple blood test," says Minetta C. Liu, M.D., an oncologist at Mayo Clinic, who helped develop the test. "In an individual with newly diagnosed melanoma that's progressing rapidly, we may not have time to arrange a tissue biopsy and wait several days for the tissue results. Now, we can reliably determine BRAF mutation status through that blood draw within a day." Further work is underway to determine how best to use the test clinically. One possibility is using the blood test to assess the effectiveness of treatment in people with BRAF mutant melanoma. "Gradual disappearance of a detectable BRAF mutation in the blood suggests that the cancer cells are responding, and the patient is benefitting from current therapy. This seems intuitive, but we have to prove it," Dr. Liu says. "It's such a rapidly evolving field. We're working to make this blood test part of clinical guidelines to take better care of patients." Dr. Sekulic stresses that melanoma is largely preventable. The major risk factor is exposure to ultraviolet (UV) rays, and the major source of UV rays is sunlight. "The most efficient way to reduce the burden of melanoma is sun protection," Dr. Sekulic says. "Previous UV exposure, especially sunburns early in life, can make a dramatic difference in a person's risk for melanoma." Australia has curbed its incidence of melanoma through campaigns advocating sun-protective clothing, sunscreen and sun avoidance. "These are very simple methods," Dr. Sekulic says. "Protecting our children from UV rays is where we ultimately will have the largest impact on melanoma."